Excellent articles and references for end-of-life care and insight into the process of death and dying. Started in 1979 as the Center for Shamanic Studies, the Foundation for Shamanic Studies presents the world’s foremost training programs in shamanism and shamanic healing. They are based on the pioneering work of anthropologist Michael Harner, who brought shamanism to contemporary life in the West after extensive field and cross-cultural investigation, experimentation, and personal practice. Emotional learning that occurred early in our lives largely shapes our adult experiences. Negative aspects of this conditioning can produce unwanted outcomes and self-defeating behaviors in our adult lives. Hoffman teaches how to release and resolve the persistent negative feelings of being unloved and unlovable. The ultimate aim is to help reach forgiveness and acceptance. Whether you choose the Hoffman Process as a rite of passage, a journey of self-discovery or a way of laying to rest the ghosts of your childhood, there is no doubt you will experience a future very different from your past. The basis of Ian's work is self-healing and personal transformation, and he starts from the premise that you already have within you everything you need to live a healthy, creative, fulfilling and authentic life. His role as facilitator is to remind you of what you already know and to assist you in aligning yourself with the source of your own inner wisdom and self-healing capabilities. Ian's work is quite insightful, informative, and sensitively respectful. I personally recommend his individual consulting services AND his many very reasonably priced seminar recordings. Click here to listen to samples of his seminars. If you decide to make a purchase, please be sure to do it through this "listen to samples" link. Jason-Aeric’s mastery of two different and profound healing arts was possible because he began studying at such an early age. Mystically inclined as a child, he loved nature, art, and creative play and read everything he could find regarding mythology, world religions, and spiritual traditions. Jason-Aeric’s personal healing journey and spiritual development are intimately connected with his practice of healing, spirituality, and transformation. 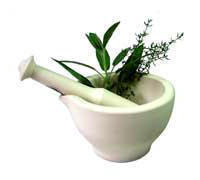 In an ever changing world, we remain committed to producing homeopathic remedies to the traditional Hahnemann technique of hand trituration and potentisation and employ qualified homeopaths to almost all staff positions. This ensures our customers receive homeopathic remedies of quality and integrity backed by expert advice. Remedia Homeopathy stands for 250 years of the art of healing. What began in 1760 as a small family pharmacy, is today an ultra modern undertaking with forty employees. The production of highly effective medicines, made using our own formulas, the constant striving for the new and improved, the love of science and research, have all left their mark on Remedia over the centuries. Our farm is located on a beautiful ridge-top in rural Maine and we grow over an acre of medicinal herbs, flowers and vegetables. We offer herb products of impeccable quality, made with the certified organic herbs we grow and wild-gather by hand. Our herb teas, bulk herbs, tinctures and compound formulas are all certified organic. We practice simple, sustainable, natural farming methods here on our farm, with respect for the earth and all of the web of life. In 1998 I trained in Vibrational Essences in Alaska , USA , with the Alaskan Flower Essence Project (and was the first person in the world to qualify as a practitioner with them). I started making my own vibrational essences to enhance my therapeutic practices and was then encouraged to make the essences publicly available. Grassdancer Vibrational Essences was set up in 1999 and we now have over 100 essences in our range, which are used by customers all over the world. 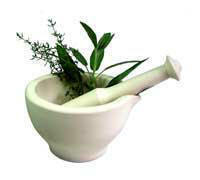 Manufactures over 250 of the highest quality herbals extracts and herbal formulas. Our products are made from certified organic or ethically wild-crafted botanicals. Our extractions are done with certified organic pharmaceutical grade alcohol or pharmaceutical grade glycerine. All of our extracts conform to our strict quality standards. Since 1987, Mountain Rose Herbs has been known for its uncompromising commitment to organic agriculture and steadfast focus on the pure aesthetics and freshness of botanical products. They place an emphasis on conducting business in an ethical, responsible, clear, and ecological way; hoping to pave a medium for other blossoming green companies. Exceptional products, prices, and customer service. Southern Herb offers an exceptional product line of essential oils, essences (Bush Flower, Living Tree Orchid, Alaskan, Spirit-in-Nature, and Findhorn, to name a few! ), books, and more. They offer these products and supplies to holistic practitioners and qualified retailers at wholesale pricing. I highly recommend this responsive and helpful company. Spirit-in-Nature provides flower essences for perfect well-being; we are the oldest flower essence firm in the United States. Wonderful for people, pets, and plants. Enjoy our on-line reference book about our essences and order directly from us or at Southern Herb via the link above. It's My Death, Inc. (IMD) is a non-profit organization focused on providing holistic end-of-life care to dying people and their families. IMD's goal is to help people confront death and dying as honestly and openly as possible. We don't promise that it will be easy. But we do promise it will be rewarding. Maine Senior Guide is a comprehensive free website for Maine seniors and their families. You can search everything from assisted living communities to church groups, get information from the many library articles, find answers on the Ask Lynn and Expert Blogger posts, and submit events for the calendar. We’re always looking for senior-related products, services and resources to include in the Maine Senior Guide database. Please submit your information using this link. Simple, fast, and affordable design to help you establish your business's web or Facebook presence.